Besieged in a two-story house in a small town in the Pskov Region, 15-year-old Denis Muravyov and Yekaterina Vlasova shot at police from the window, streaming the action live on the Periscope video app. The last hours of their life broadcast live as they shot at police and their parents – two schoolchildren from the Pskov Region, 15-year-old Katya Vlasova and Denis Muravyov, tried to run away from home because of problems with their parents, and, apparently, did not intend to kill themselves, but things did not go according to plan. 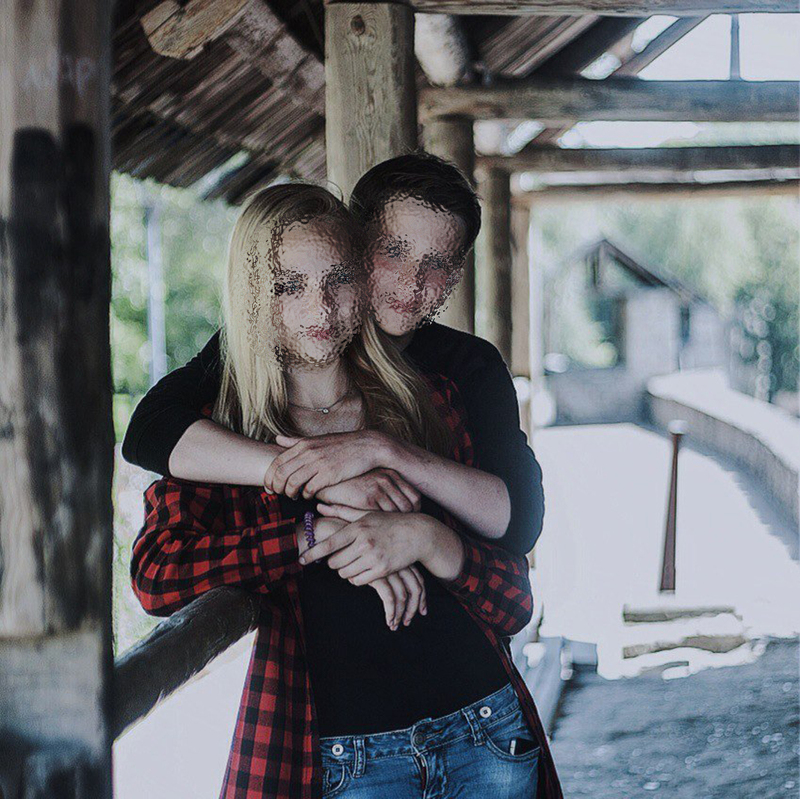 Besieged in a two-story house in a small town in the Pskov Region, 15-year-old Denis Muravyov and Yekaterina Vlasova shot at police from the window, streaming the action live on the Periscope video app, comparing themselves to infamous U.S. criminal pair Bonnie and Clyde, before apparently committing suicide as police stormed the building – in a series of events resembling a Hollywood movie. According to Muravyov’s account of events on the Periscope broadcast (which has now been taken down; only a transcript (in Russian) has been preserved), they decided to run away because Vlasova, his girlfriend, was "severely" beaten at home for sleeping over at her friend's house without asking, and he had simply had enough of his parents. Three days before the incident, which took place on Nov. 14, Muravyov withdrew money using his mother's credit card, and the teenagers traveled 45 miles from Pskov to the settlement of Strugi Krasniye (360 miles northwest of Moscow), to the house of Vlasova’s stepfather, who kept firearms in a safe at home. The youngsters managed to break into it and remove a hunting rifle and other firearms. The police were soon looking for the young man, who was listed as missing. When the teenagers’ parents arrived, the young pair refused to let them in and barricaded themselves inside the house. Then Muravyov shot Vlasova's mother in the hip using a non-lethal gun during the scuffle. When a police van drove up, Muravyov opened fire at the officers, this time with a real firearm. "We have zero options! ... It’s useless [to surrender]," exclaimed Vlasova during the live stream on Periscope. "Maybe I hit the cops, I don’t know. I see – they’re mouthing off to me on the phone, I see the cops – just bang, bang at them. If I hit them, it’s another 15 years," said Muravyov. Later on, Vlasova exclaimed that now "the whole class is watching" her and said she will miss her classmates. "If we don't surrender, we’ll be killed," said Muravyov. "It’s just that if we surrender, we’re unlikely to see each other, they’ll send us to different cities and schools." Eventually, the teens announced on the live stream that they had run out of ammunition, though one of the videos shows that there was a lot of ammunition in the house. At some point, the recording was interrupted, and a special squad stormed the house, where it finds the teenagers shot dead. The Pskov Information Agency reported (in Russian) that Muravyov first shot Vlasova and then turned the gun on himself. Both teenagers left identical messages to their families on social networks, accusing them of the "destruction of mind and life." Children's ombudsman Anna Kuznetsova called the incident "a terrible tragedy" and said that, together with the relevant agencies, she was "looking into the circumstances and details of what happened." Pskov Region governor Andrei Turchak expressed his condolences to the children’s parents. "This is a terrible tragedy," he said. "No words can soften the bitterness of loss." Turchak expressed his confidence that the law-enforcement authorities would carefully investigate both the reasons for the “suicide” and the attack on the police. The circumstances of the tragedy will be considered by the regional commission for juvenile affairs. The theory that Muravyov shot Vlasova and then himself is contrary to their words about the lack of ammunition. Social networks reacted to this contradiction. "And how have we found out that the Pskov teenagers killed themselves and were not shot during the assault," journalist Sergei Dorenko wrote on Twitter. "There was an assault. Were firearms used?" Since Russia's National Guard, Rosgvardiya, argues that the special police did not open fire during the assault, some observers suppose that the teens could have lied about the ammunition having run out. "I can hardly imagine a scenario in which the teens were shot by the cops," wrote former detective Yury Kunikov on his Facebook account. "Either they will be given away by their own, or the prosecutor will start asking questions." Immediately after the tragedy, several theories emerged to explain what happened. Speaking on the Govorit Moskva radio station, Irina Sokovnya, a clinical psychologist specializing in teenagers, suggested that the youngsters might have joined a sect or suffered from mental illness. Senator Yelena Mizulina, known for her conservative views, blamed computer games for the tragedy on her Twitter page. However, many believe that the reason for the behavior of Muravyov and Vlasova is simply the domestic violence that the teenagers repeatedly spoke about. "The problem is in the children's upbringing and the availability of weapons for those [the parents] brought up," wrote Gregory Zagradsky on Twitter. "The fault lies with the parents and only the parents."